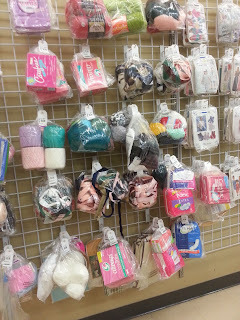 Nothing from the wall of 1990s tampons for me today, thank you. 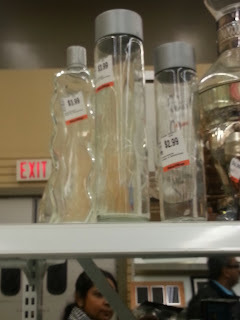 Some empty Voss Water bottles priced at & higher than retail. 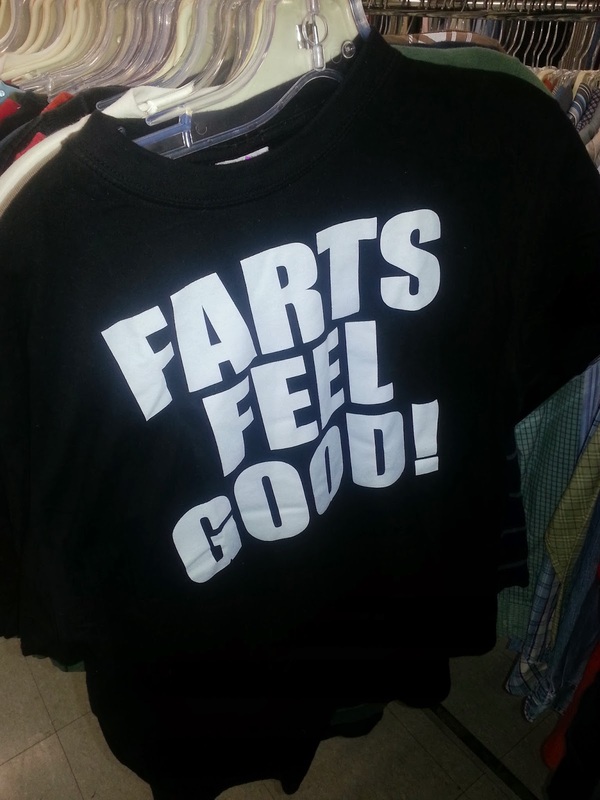 I actually know a woman who would proudly wear this shirt. Man I have such a backlog of these posts to do ;D LOVE the Masters of the Universe puzzle and might have been bad and scooped it up for $5.00 if all the pieces were intact. I read a lot of Sassy & Seventeen magazine growing up. Ha! Probably. God, I miss Sassy. who donates the voss bottles anyway?? just put them in your recycling bin! so weird! 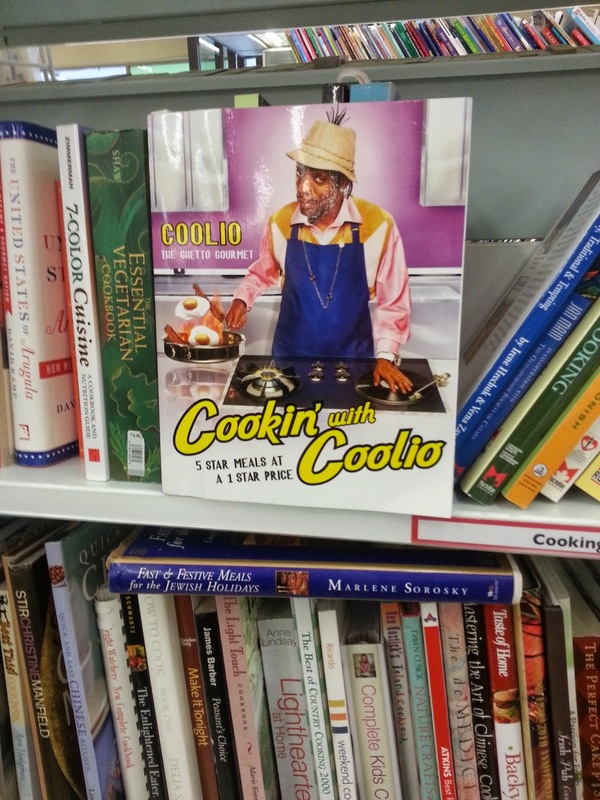 I would have probably bought that Coolio cookbook! 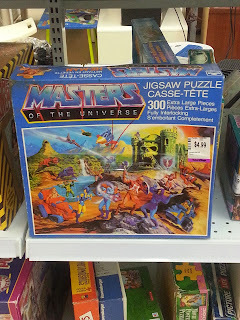 No way I could resist that! 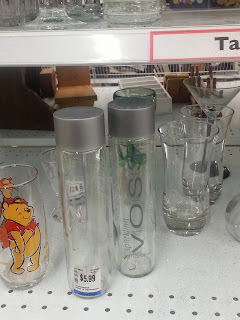 The other week I was maple syrup plastic jugs at VV - you just never know what you are going to see there and you proved that!! Too Hillarious. 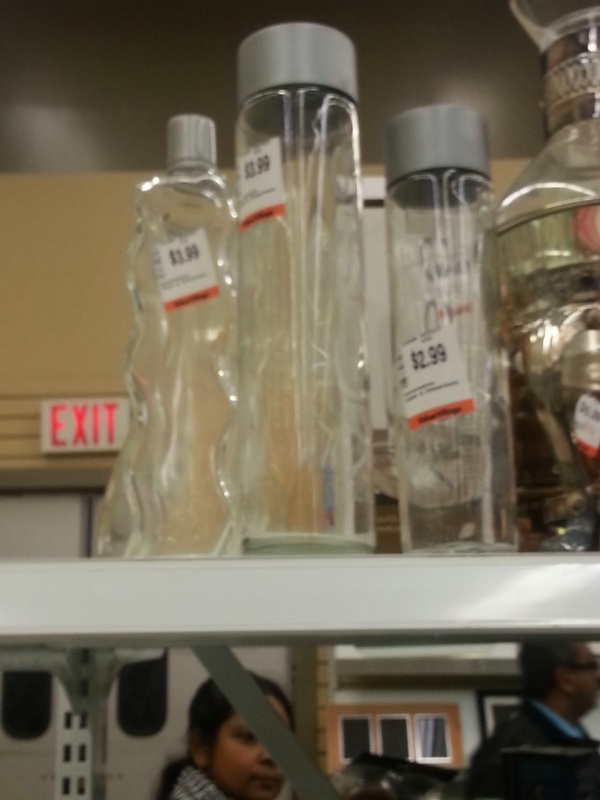 Sometimes I find spagetti sauce jars om thrifts. Really? Too funny. I once hit a sale where the homeowner hoarded hygienic supplies. 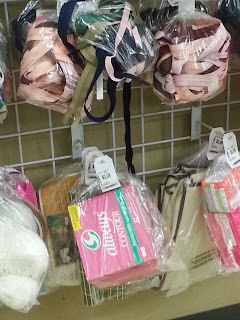 There were boxes and boxes of 1970s belted sanitary napkins. Come on! 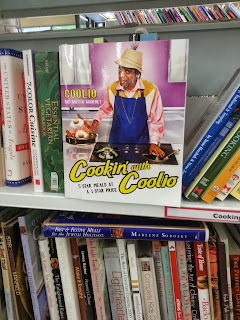 You didn't jump on Cooking with Coolio?! Hahahaha, the fact that such a thing even exists boogles my mind.